Rejoice Always, 50 x 50 inches, by O.V. Brantley, 2011. For sale at http://www.ovbrant.etsy.com. Five of my quilts, along with approximately 50 other quilts, will be exhibited during the 2011 Atlanta Quilt Festival. The annual festival, which is held at the South Fulton Arts Center, 4645 Butner Road, College Park, GA is sponsored by the Clara Ford Foundation and Hammonds House Museum. The opening reception is July 31, 2011 from noon – 4 p.m. The festival will continue through August 13, 2011. 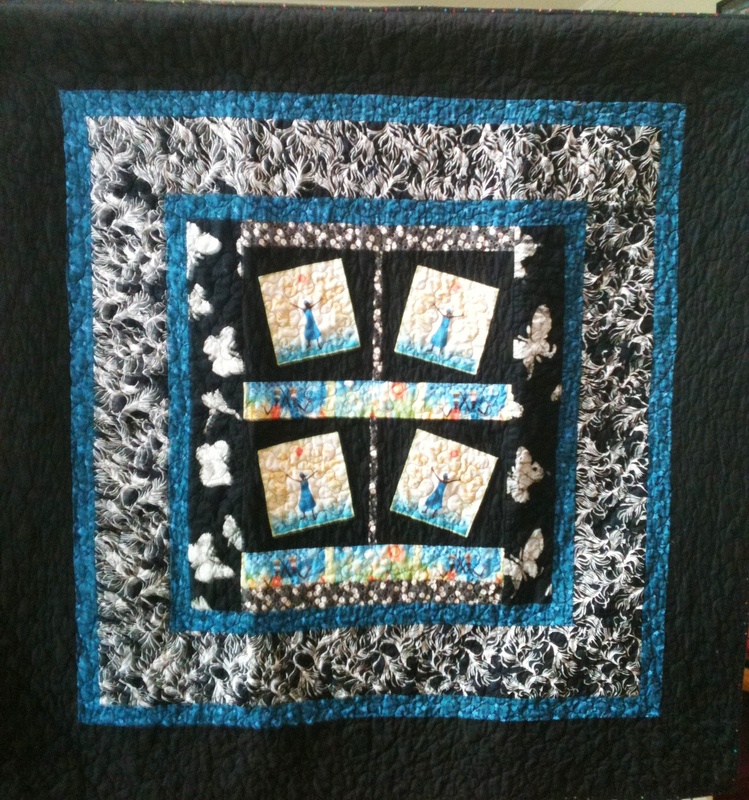 Rejoice Always, shown here, is one of my quilts that will be featured. This entry was posted in A Quilter's Life, Places to See My Quilts and tagged 2011 Atlanta Quilt Festival, African American quilter, fabric art, O.V. Brantley, quilts, wallhanging, www.ovbrant.etsy.com. Bookmark the permalink.